Sub Name: No other names are in general use. However there are numerous species of Oak in the USA. Trade Name: The name Burr Oak or Oak Burl is applied to wood from burr growths that has grain running in all directions. Burr-wood comes from naturally occurring growths. The name Burry Oak is applied to wood that displays a modest amount of burr against a swirly background. Terms such as ‘figured’ may be applied to describe unusual appearance characteristics. Flat sawn timber is known as Plain Oak. Origin: White and Red Oak occurs throughout southern Canada and the USA, principally in the east. 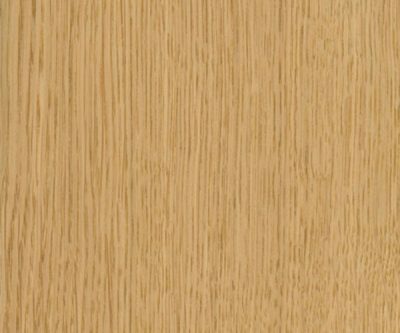 Appearance: The colour of White Oak is similar to European Oak, the heartwood being typically yellowish brown, though it is more variable in colour and can contain a pink tinge. Red Oak is redder in colour ranging from pale pink to red/brown. The growth rings are very evident in both White and Red Oak, which gives rise to prominent figure. 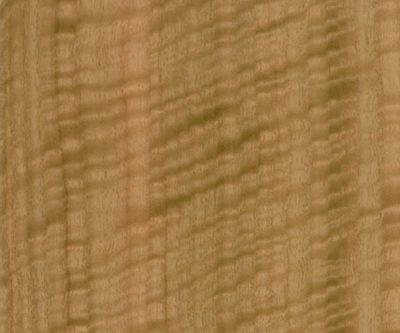 The characteristic silver grain of the broad rays which occur in European Oak are strongly present in White Oak but less so in Red Oak. Both White and Red Oak vary in their refinement between material grown fast in the southern States, which tends to coarseness, and that which grows more slowly further north where it is milder. Mechanical: The strength of the American Oaks varies considerably due to the variety of conditions under which they are grown. The faster grown southern wood generally has greater structural strength while northern wood will produce better decorative joinery. As with European Oak, density ranges from 670 kg/m³ for southern grown timber to 720 kg/m³ for northern growths. The heartwood of White Oak is durable, being resistant to rot and insect attack. Red Oak is classed as non-durable. Availability: Solid White and Red Oak is widely available as square-edged boards 25–100mm thick, 150mm and upward wide and up to 4.8m in length. Veneer is widely available crown or quarter cut. Burr veneer is available from specialist sources. These veneers are available from Shadbolt with Forest Stewardship Council (FSC) certification. Timber Cuts: American Oak is very suitable for good quality joinery, except for the sapwood, which is usually avoided. 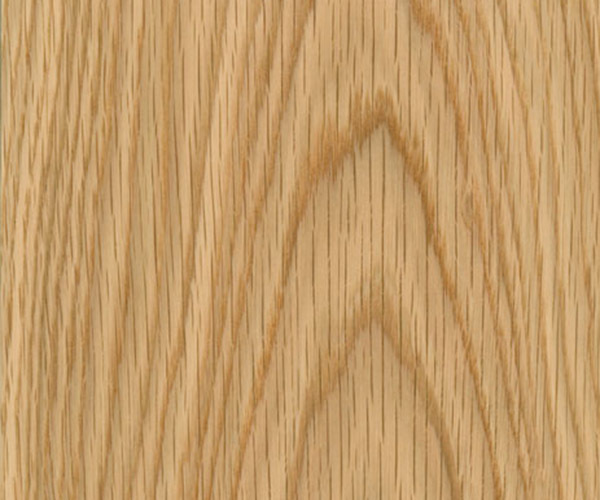 White Oak is usually preferred due to its finer appearance, though Red Oak can be very similar and less expensive. 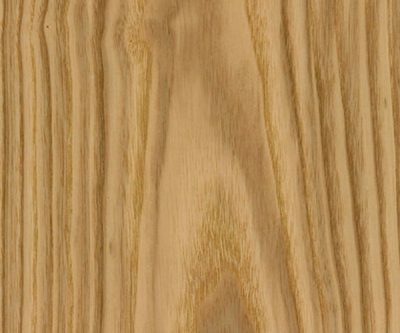 The American Oaks are very suitable for large runs of joinery where appearance is to be as consistent as possible. Trees grown in forest conditions produce long straight trunks with fewer knots and grain disturbances than is typical of European material. American White and Red Oak in the solid produce a good general colour match to their respective veneer form. However, the machined and polished faces of American Oak joinery display a variety of features resulting from exposure of the growth rings and silver rays as well as burrs and knots. In practice it is difficult to control the extent to which such features are displayed or hidden, though the American timber tends to produce more consistent material when compared with the European. 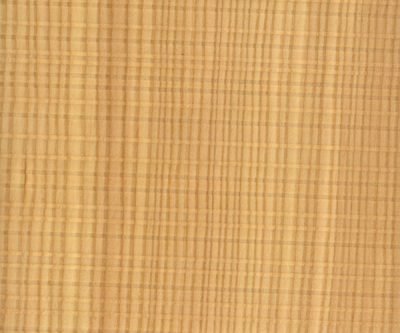 This should be understood when considering the match with veneer, which will usually be made from selected large clear boles to reveal crown cut or quarter cut features. Veneer Cuts: American White and Red Oak veneer is usually produced from selected logs in which unwanted features, such as knots, are minimised or are limited. This gives rise to appearance in the general run of veneer which is more consistent than the solid. The veneer logs are usually smaller in girth than European but longer and cleaner. They generally produce consistent veneer that facilitates achieving a uniform appearance in areas within a large job. Relative Costs: Crown or quarter cut veneer 3. Properties: The denser and tougher the wood, the harder it will be to produce finished joinery which is free from defects. Where this is a prerequisite American Oak is likely to be the safer option. When freedom from feature and consistency over a large job is important, the American Oaks will generally deliver the intended result. The wood will stain when in contact with iron if not completely dry. Both solid wood and veneer take polishes. Seasoning: The timber seasons slowly with a tendency to check and split.